The motorcycle segment of big, ADV, or adventure motorcycles, seems to be everyone’s favorite these days, motorcyclists, and manufacturers included. And British motorcycle brand Triumph has introduced the new Tiger Explorer XCx a few months ago in India with big updates. Globally, the new Tiger Explorer is available in a range of different variants with the more tarmac-oriented XR series and the off-road friendly XC series, and was introduced as a 2016 model. But Triumph decided to introduce just one variant in India – the Explorer XCx – and, as a 2017 model. 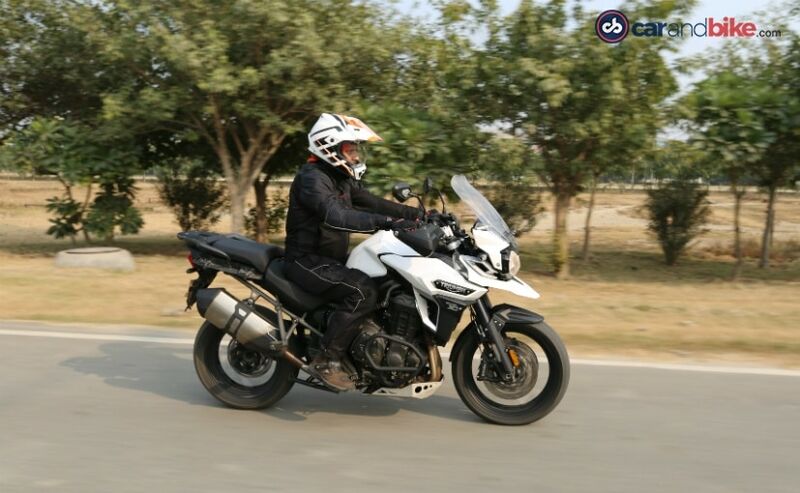 Visually, the Triumph Tiger Explorer XCx retains the same silhouette as the earlier model, but gets subtle upgrades; it gets a sharper, and more muscular look, and a new electrically adjustable windscreen. The Metzeler Tourance tyres are fatter than the earlier model, and the new Explorer XCx also gets cruise control, as well as heated grips. It looks muscular, purpose-built, and made for covering hundreds of kilometers across the country. The engine, chassis and ergonomics all get updated; more importantly though, it’s the suspension, which gets a significant upgrade. Triumph uses high-end semi-active WP suspension, and also an inertial measurement unit (IMU) that adjusts cornering ABS, traction control and the electronic suspension. And that electronic suspension has a range of presets, in off-road and on-road mode, ranging from Comfort on the softer side to Sport on the firmer side. Small adjustments to the suspension aren’t noticeable, but the bike does take on a completely different personality from the softer side of settings to the sportier side, and that is certainly impressive. 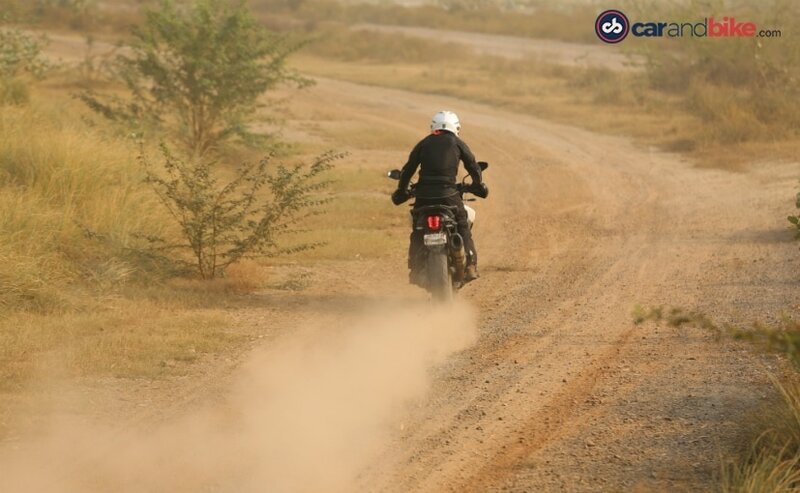 Then, there’s what seems to be standard ride by wire throttle these days, with a choice of three main modes – Road, Rain and Off-Road. But, you do have the choice of individually changing the throttle map, ABS settings and traction control. So there’s a lot on offer, but the standard Road, Rain and Off-Road is good enough for most everything, without getting inside the menus to individually toggle and set personal preferences, but that’s just me. Some riders may find the choice of customizing individual settings useful. But it’s actually quite a bit of permutations and combinations, and the pre-sets are more than enough, really. The engine is the best feature of the new Tiger Explorer XCx. 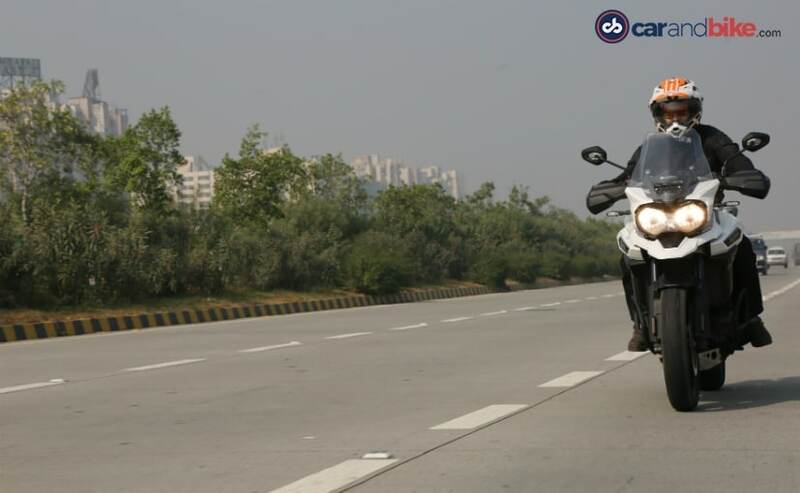 The signature 1215 cc, in-line three-cylinder engine now makes more power and more torque with 137 bhp coming in at 9,300 rpm, and 123 Nm of peak torque kicking in at 6,200 rpm. The torque though has a wide spread with ample pulling power from as low as 4,000 revs. The final drive is through a shaft, rather than a conventional chain, and once on the go, the bike moves with urgency. 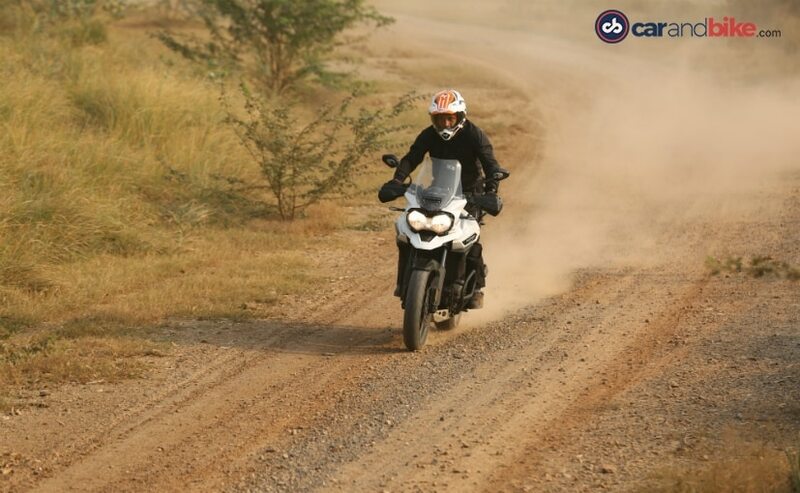 On tarmac, the Tiger Explorer XCx can dispatch long distances effortlessly and getting to expressway speeds and more is as easy as a slight twist of the throttle. The in-triple engine of the Explorer XCx offers near-sport bike performance, hitting unmentionable speeds in an instant, and holding high triple digit speeds with ease. In Road mode, the suspension adjusts itself automatically, and gobbles up most everything – road undulations, pot-holes, speed breakers, and offers supreme comfort. It certainly is a very well-tuned set-up, and will be welcomed by riders looking for a touring motorcycle which can comfortably take on 10-12 hours days in the saddle. The Triumph Tiger Explorer XCx, the top-of-the-line off-road oriented variant offered in India, is meant to have off-road capability. It has the hardware; like the 48 mm upside down fork from WP, with 190 mm travel, and the WP monoshock, with 193 mm travel at the rear. The brakes with switchable ABS offer superb bite, the Brembo monobloc four-piston calipers shedding highway speeds in an instant. The cruise control is a no-brainer, and works for boring highway duties and is a welcome additional feature. The humongous 20-litre fuel tank has enough capacity to cover several hundred kilometers between refills. And the two-step adjustable seat offers a low seat height of 837 mm at the lowest position, but definitely better than the full 857 mm height at the tall setting. 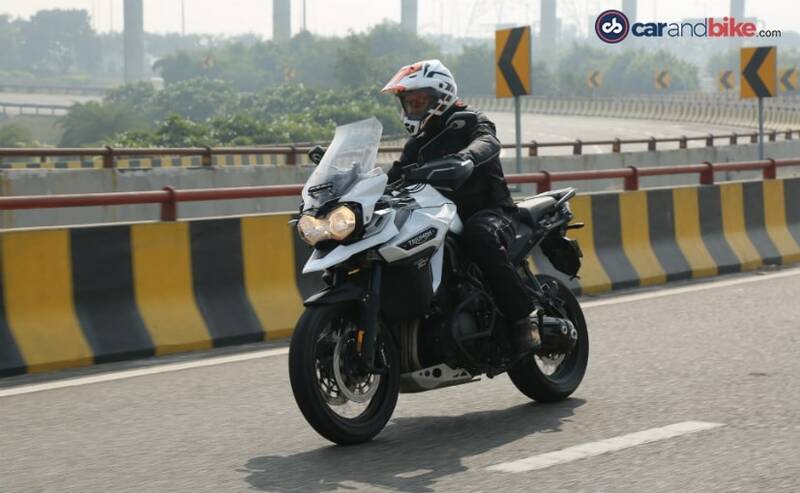 Then there’s the weight; at 253 kg dry, the Tiger Explorer XCx will be well over 275 kg wet, and that will be a spot of bother, if you intend to use it for the daily commute or to maneuver in tight parking spots and the like. But out on the highway, that peach of an engine gets into its own element. Relaxed ergonomics, superb wind protection and a superb ride quality won’t even make you feel the speeds you will be doing, till the time you glance down at the speedo. Speaking of which, the instrument panel is an evolution of the earlier models, but it still feels somewhat old school with the LCD screens flanking the analog tachometer. Readability though is quite good, and there are no complaints about the information or read-outs. 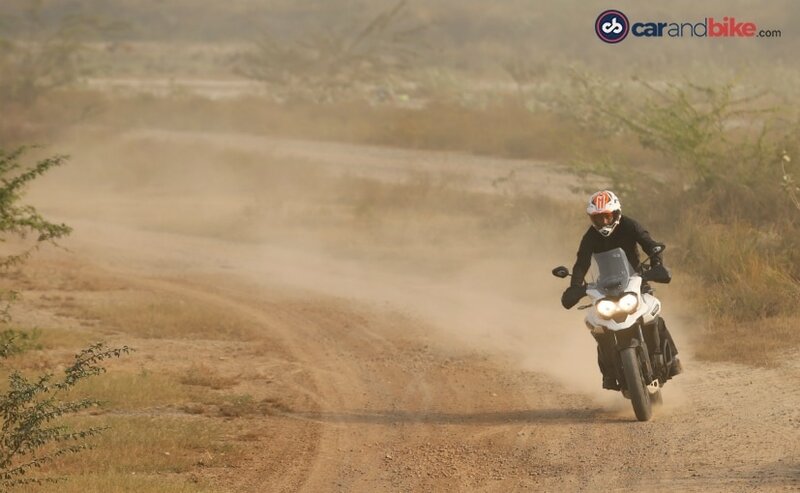 The Explorer XCx is the off-road oriented model in the bigger of the Triumph Tiger series. Spoked wheels, with a 19-inch front and 17-inch rear are designed for some off-road duties. But the sheer size and weight of the Explorer XCx don’t quite make it an easy bike to handle when the tarmac ends. 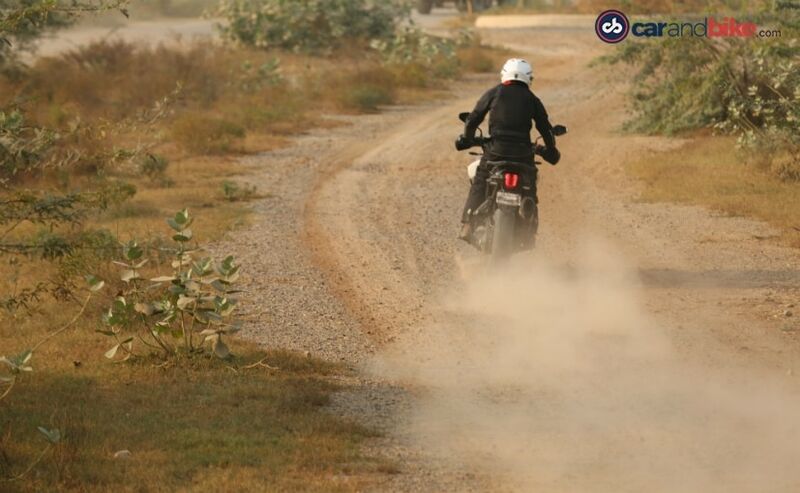 Sure, it can go over your usual gravel roads, and will take you easily to your to-do destinations like Ladakh and Spiti. But, the size and mass of the Tiger Explorer is its Achilles’ heel; compounded with the road-oriented Metzeler tyres, the Explorer XCx feels a little skittish on gravel roads, and really doesn’t offer you enough confidence to try some ‘real’ off-road stuff. That’s not to say it’s not capable. A switch to more off-road oriented knobbies will certainly lend the Explorer XCx a completely different personality, when it comes to exploring the unknown where the tarmac ends. But all that weight does make it a little intimidating and cumbersome, when it comes to handling some real goat trails. At best, the Tiger Explorer XCx is a superb touring bike, and as long as you stick to tarmac, or the occasional broken patch, you should have no reason to complain. It can cover inter-state distances with ease, and will have you reach your destination without the rider feeling wiped out due to exhaustion. At ₹ 18.75 lakh, ex-showroom, the Triumph Tiger Explorer XCx is not exactly what you’d call an affordable adventure bike. For 2017, it certainly gets a lot of updates and new technology, like the IMU and semi-active suspension. 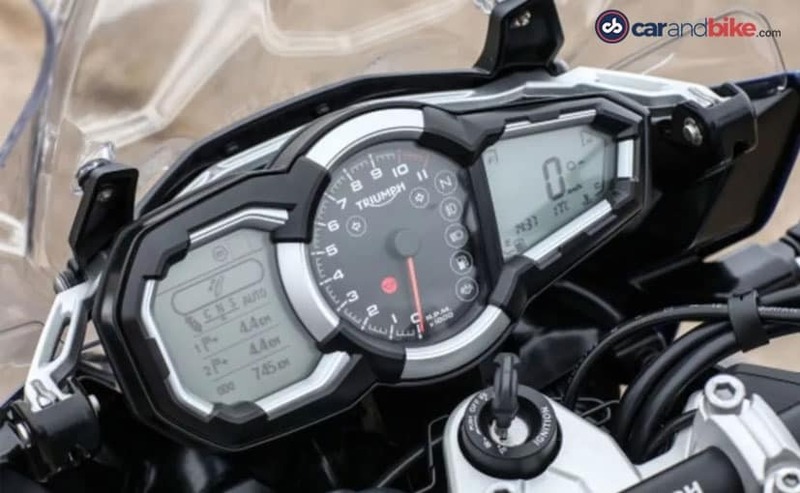 But it still misses out on a full-colour instrument panel, and it gets competition from two of the most acclaimed adventure tourers available in the market right now – the BMW R 1200 GS, and the Ducati Multistrada 1200. In a nutshell, the Triumph Tiger Explorer XCx is difficult to find fault with, but it’s available in limited numbers, and with a steep price tag. And, in a few months from now, the updated 2018 Triumph Tiger 1200 will debut in India. The new one will get a full-colour TFT screen, and as many as 200 new updates to the engine, chassis and suspension. And most of all, it will shed almost 20 kg over the Explorer XCx. The Explorer XCx is a good touring bike, no doubt, but if I was in the market for a new adventure bike, and nothing less than a 1200 cc Triumph would do, I’d rather wait, for the next update, which is just a few months away.